Easter holiday is a great way to celebrate with family, share love, laughter and togetherness. 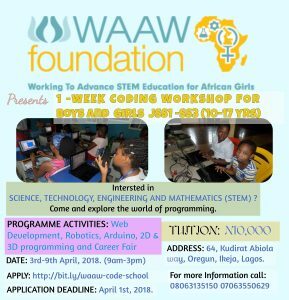 At WAAW Foundation, we have a special way of celebrating with kids and at the same time building their intellectual capacities; we call this “WAAW Code School”. 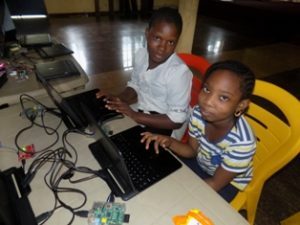 At WAAW code school, each child is open to the training that molds the mind, and helps build a platform for designing solution to challenges rather than using technology as a vice. Young minds are plain platforms, flexible enough to receive as much and ready to take in anything new. It is therefore important that they have busy times and productive events around them to make favorable use of technology. 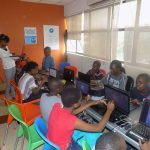 The uniqueness of WAAW Lagos code school is in its teaching methodology and learning resources. Just like our past code school experience, participants will learn with unique methodology that is suitable for critical and creative thinking. This is for kids in JSS1-SS3 and will occur from April 3rd to 7th (9am-3pm daily) at 64 Kudirat Abiola Way, Oregun, Lagos and at 2 Zambezi crescent street NEPZA building Maitama Abuja. REQUIREMENT: A laptop, notepad/book and Pen. We encourage our participants to come with their laptops so that they can go home with assignments and work on their projects. Tuition fee is 10,000 Naira.